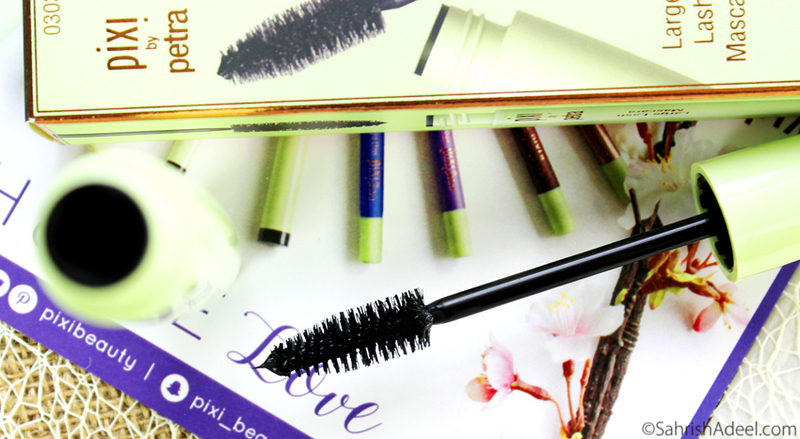 Large Lash Mascara by Pixi Beauty - Review & Before/After + Discount Code | Sahrish Adeel - Malaysia based Pakistani Beauty & Lifestyle Blogger! As much as I want to wear falsies at all times, they are not practical for me so I am always looking for great mascaras that last me all day. 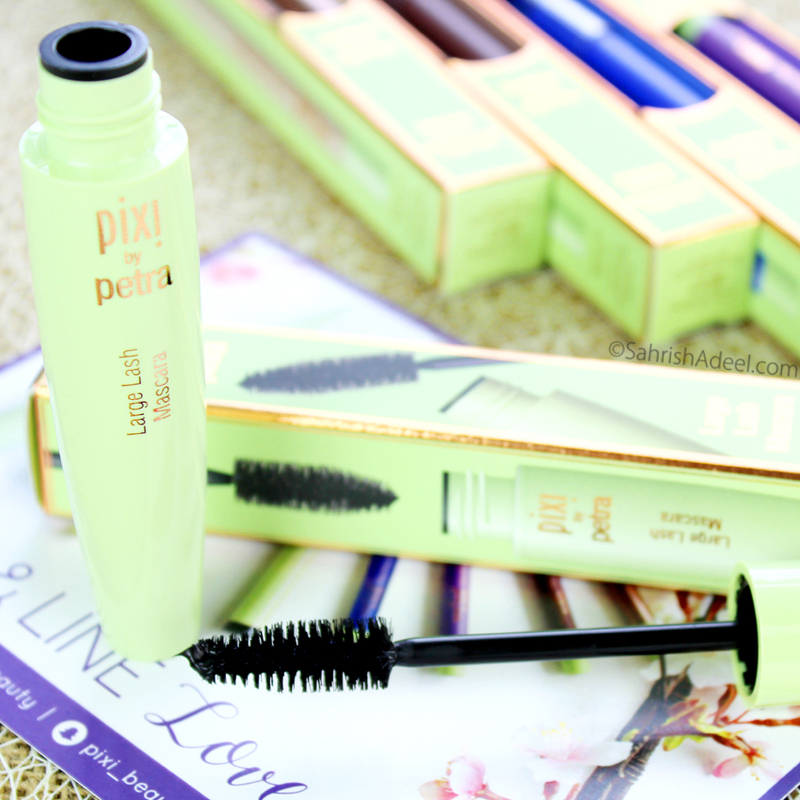 I tried the Large Lash Mascara by Pixi Beauty and was amazed by the results. Water (Aqua), Sorbitan Olivate, Copernicia Cerifera (Carnauba) Wax, Oryza Sativa (Rice) Bran Wax, Stearic Acid, VP/VA Copolymer, Glycerin, Hydroxyethylcellulose, VP/Hexadecene Copolymer, Phenoxyethanol, Sorbitol, Aminomethyl Propanol, Tocopherol (Vitamin E), BIS-PEG/PPG-16/16 PEG/PPG-16/16 Dimethicone, Dimethicone, PPG-17/IPDI/DMPA Copolymer, Panthenol (Vitamin B5), Isopropyl Myristate, Caprylic/Capric Triglyceride, Iodopropynyl Butylcarbamate, Bambusa Vulgaris Leaf/Stem Extract. May Contain: [+/- Iron Oxides (CI 77491, CI 77492, CI 77499)]. Large Lash Mascara comes in a cardboard packaging without quite a lot of details written over it like ingredients, functions etc. The actual tube is in a gorgeous lime green color and contains 12 ml of product. Pixi Beauty is a cruelty-free brand. This mascara is available in 2 shades; Bold Black and Best Brown. The one I am reviewing today is in shade Bold Black. If I don't say a single word and just show you the before and after results, wouldn't you be sold? I know, I would. I love how it makes a huge difference without looking clumpy or too heavy and the results are without curling my lashes prior to the application. For me, it is one of the most important points when I want to invest in a mascara because that would mean that I can ditch my lash curler. the application is reasonable but if the same formula comes with a slightly thinner brush, I will be 200% happier. This mascara comes off easily with an oil-based makeup remover because the mascara is water resistant. You can totally use a regular makeup remover but I feel like I need to rub my eyes more with a regular makeup remover and I always prefer something that can be more gentle so an oil-based makeup remover like Garnier's Oil Infused Micellar Water works like magic for eye makeup. My lashes stay put throughout the day and I only notice slight fall in my lash height after like 10 hours of wear time which I personally think is mainly due to the hot and humid weather in Malasyia, throughout the year. I will happily pay $16 for 12 ml of high-performance product with a 9 month expiration time, usually, the mascaras have a 6 month expiration time. I am a hundred percent satisfied with this mascara and the thinner applicator that I mentioned earlier is my personal preference with mascaras so I am not judging this one on that basis. I highly recommend that you give this baby a try and hopefully, you will be as happy as I am. 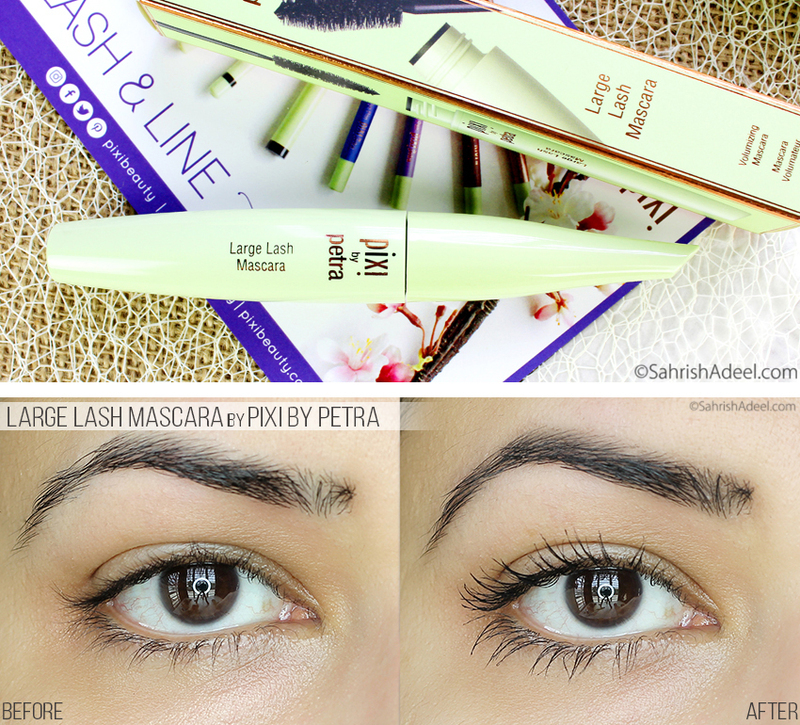 Large Lash Mascara (US$16) is literally available worldwide on many mann websites. I am including all the links below along with a discount code to help you save some money on your makeup needs.